I love Veggie Tales. Its so great that they are coming out with new movies! 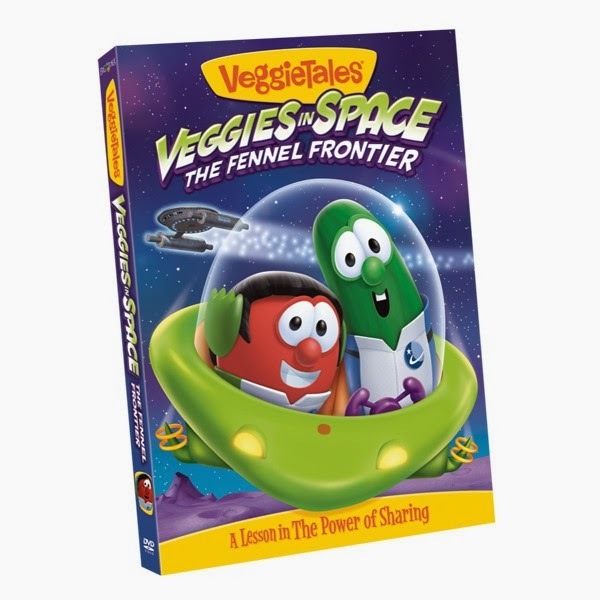 Welcome to the Veggie Tales: Veggies in Space: The Fennel Frontier Giveaway! One lucky winner will receive a copy of the Veggies in Space DVD! Check out The Savings Wife’s review! Giveaway is open until Midnight April 17th! Giveaway is open to residents of US and Canada! One entry per person please.Enter on the Rafflecopter Below! Disclosure: “The Savings Wife” solely organized this event and I received no compensation for this publication. My opinions are 100% my own and may differ from your own or even those stated in this post. This event is in accordance with the FTC’s 16 CFR, Part 255: “Guides Concerning the Use of Endorsements and Testimonials in Advertising” and is in no way associated with any of the social media it is viewed/shared/located on. The sponsor is responsible for prize shipment and not this blog or any bloggers involved in the promotion. For the avoidance of doubt, Big Idea Entertainment, LLC and its parents, subsidiaries and affiliates are not a sponsor or affiliate of this giveaway.” (the “Statement”).